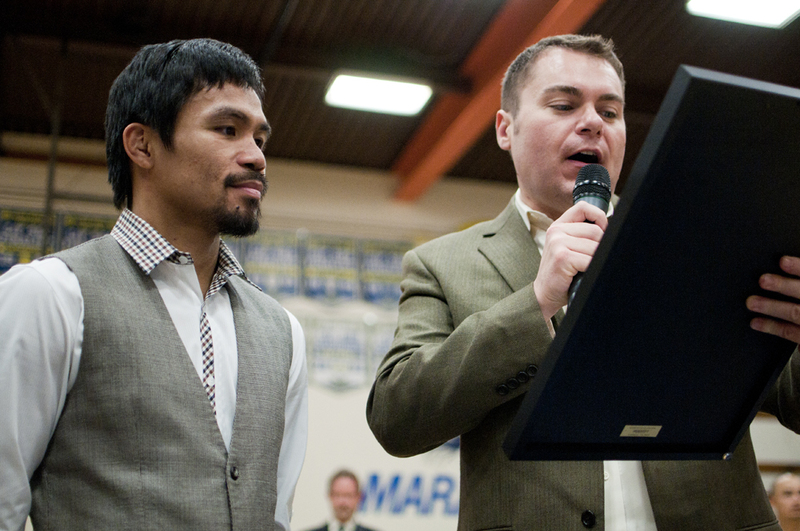 If you didn’t hear, Manny Pacquiao officially has his own day in San Diego. 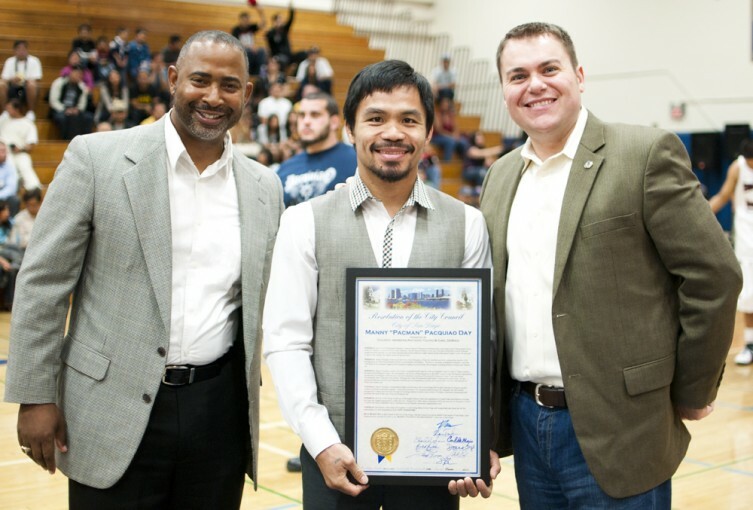 City Council recognized this honor and presented this to Pacman himself on October 24th, 2010, where I was fortunate enough to have photographed. 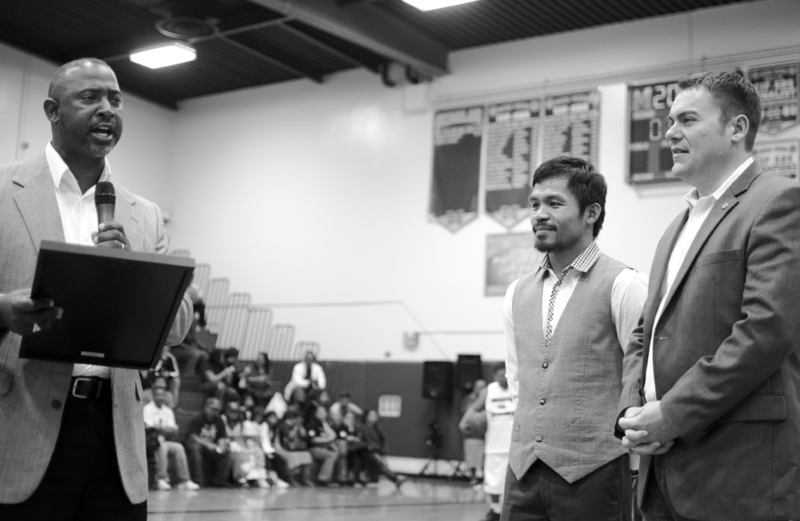 The ceremony was held in Mira Mesa High School’s gymnasium on behalf of a fundraiser that Manny was had invested himself with. At the time I worked for Councilmember Carl DeMaio, the man in charge of District 5 which encompasses Mira Mesa. 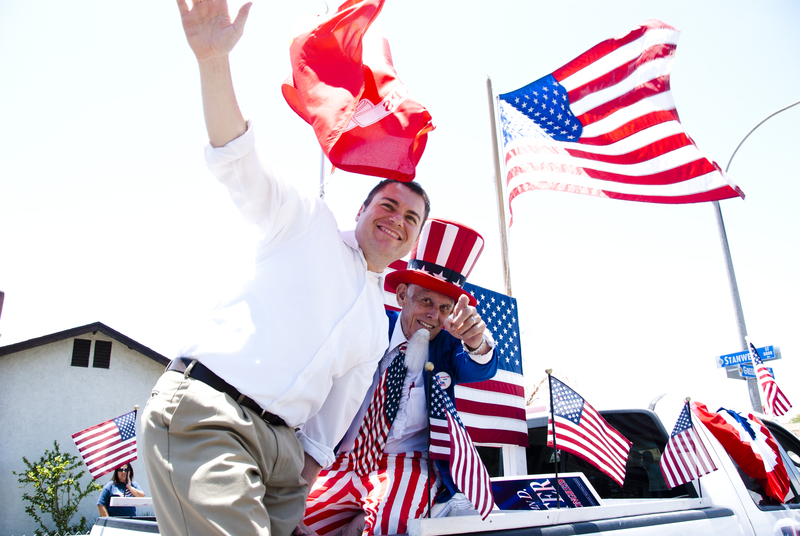 Though I was mainly a paid intern, I had photographed for Carl during the 4th of July parade, and provided him with photos he really enjoyed. So thanks to Carl, I was able to come in and snap some pictures for him, City Council President Tony Young, as well as a member of Tony’s staff. Though there were tons of photographers present, and I was the only one allowed to share the stage with the three during the presentation of the certificate. It was pretty surreal watching him come onto the gymnasium stage through the side doors. His crew encircled him and the crowds were cheering him on. You would have thought Mira Mesa High was hosting a fight with how animated everyone got. I didn’t photograph them, but his family were sitting in the stands. I’ve always made it a personal code of mine not to bother families of celebrities with photographs. People just exude that demeanor of whether or not they are comfortable with being in front of a camera, and their body signals warranted that wish of privacy. I only wish I was able to hang out with Pacquiao’s entourage prior to or after the event. As much as these photos will forever memorialize this opportunity, I’m not quite satisfied with the level of intimacy I was able to draw out. Maybe next time. I really enjoyed working for Carl. I had many more opportunities to photograph for other events, but they always conflicted with my school schedule. I believe he had the following photo printed and framed somewhere.